Eggplant is one of those vegetables that just doesn’t seem like a vegetable. When cooked, it so rich and I would even say decadent. 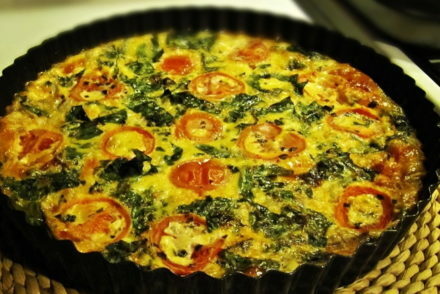 In Greek cuisine it is always cooked with tomatoes and onions. 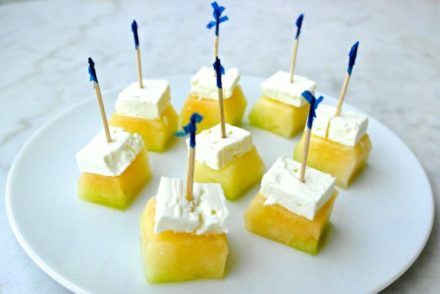 In most cases it is accompanied with tangy feta to complement the rich eggplant. 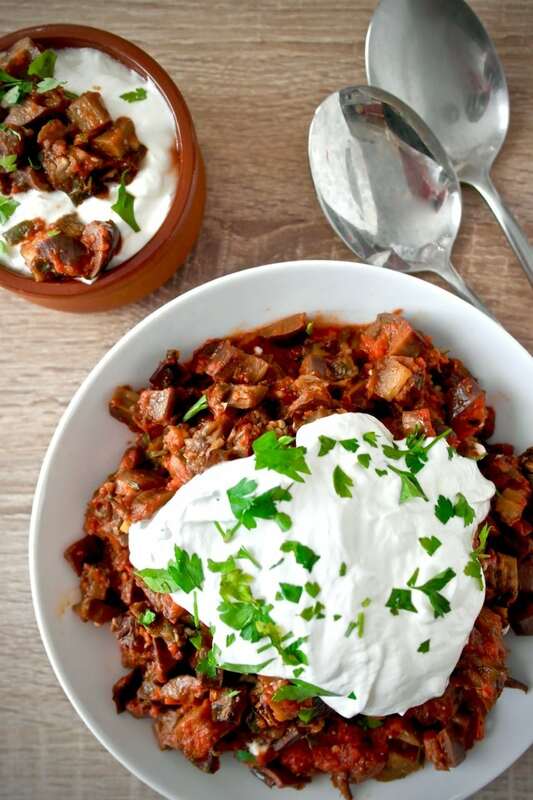 In this recipe of roasted eggplant with tomatoes and herbs, I accompany it with cold creamy and refreshing yogurt instead of feta for a lighter result. I was inspired by an appetizer that I had last August on the island of Kithira: creamy Greek yogurt topped with sweet roasted eggplant. It was delicious. For this recipe, we do not fry the eggplant as is common in many eggplant recipes, they are roasted instead with a rich tomato sauce. 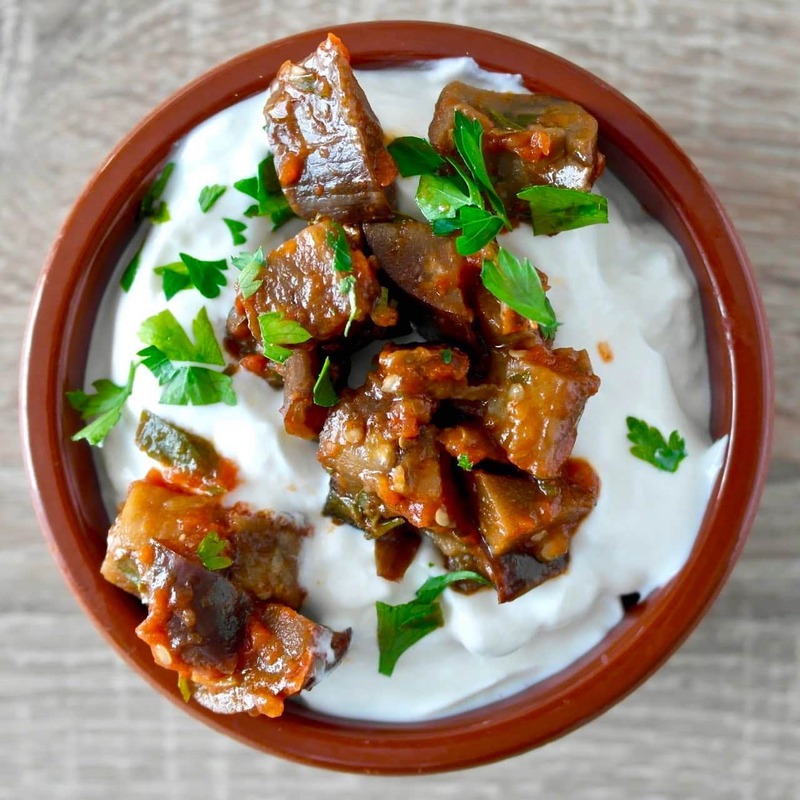 This dish can then be served in various ways: served as a main vegetarian course accompanied with a big dollop of Greek yogurt, or it can be served as I had it last summer, by placing some yogurt in a small bowl and topping it with the eggplant and dipping bread or pita in it. It also would work great as a bruschetta topping or with pasta. And please note, this is served at room temperature not hot, it is important to let it sit for a few hours after it is cooked. Is it OK to eat eggplant? Eggplant belongs to a group of flowering plants known as nightshades. 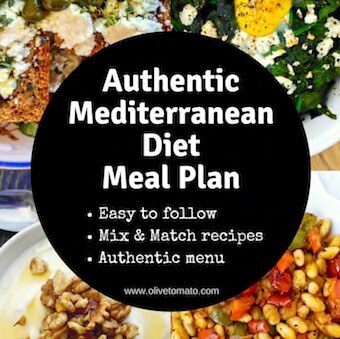 Unfortunately many so-called health bloggers and other “experts” have been saying that vegetables or fruit that belong to this group such as eggplant, okra, tomatoes, peppers, potatoes (in other words many common vegetables used in the Mediterranean diet) may cause inflammation and a bunch of other ailments. The reality is that science has not shown that these vegetables harm people in any way, in fact quite the opposite: eggplant and other vegetables are rich in fiber and antioxidants protecting from chronic disease and are an important part of the Mediterranean diet. However, eggplant as well as okra are high in fiber and may cause some discomfort if you are not used to eating them. About 5 medium “Sicilian” style eggplant (about 6 inches long) or if you use the Italian style use about 4 depending on the size, chopped in cubes. Place the eggplant in a colander and sprinkle with about a tablespoon coarse salt and let it sit for 30 minutes to remove bitterness. Rinse with plenty of water and squeeze to get the water out. Dry on a towel. Preheat oven at 400 degrees F (200 C). Place eggplant in a bowl, drizzle with 1/3 cup olive oil, mix well so that all eggplant is covered with olive oil. Empty contents in ovenproof casserole dish so that eggplant is fairly close together but still in one layer, add about ¼ cup of warm water in the corner of the casserole dish and tilt it so it spreads throughout (do not pour water over eggplant as this will rinse the olive oil). Cover with aluminum foil and roast for 10 minutes. Lower temperature to 350 F (180 C) and continue to roast until eggplant is soft (about 15 more minutes). Add additional hot water 2 tablespoons at a time, if they are drying out. Meanwhile in a pan sauté the onions with the olive oil for about 4 minutes until soft, add garlic and sauté for another minute, add tomato, sugar, parsley pepper, salt (as needed) and simmer for 5-10 minutes. Remove eggplant from oven and add tomato sauce, gently mix and put back in the oven. Roast for about 10 minutes more. Remove from the oven and let it cool. 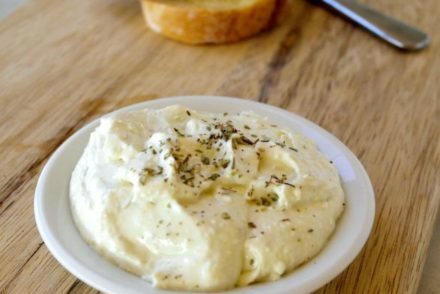 Serve as a main at room temperature with big dollop of yogurt and a sprinkling of parsley or as a dip layering it in a dipping bowl. This looks delicious and I will certainly make it. I would appreciate your adding either weight or volume measurements to the list of ingredients in your recipes, even if it’s an approximation. Thanks Barbara! We use mostly volume measurements. Please send us a note if you need clarification for a recipe. Thanks Elena – I agree with Barbara. I would think a more helpful volume measurement would read something like 3 cups of eggplant chopped into 1/2 inch cubes. That could be several small ones or one large one, for instance. This recipe sounds great. I’m curious, why have you used the quotation marks in Sicilian? And let me add that Sicily is as much the home of the Mediterranean diet as Greece. Hi, It is in quotes because I am referring to a style of eggplant, not that they are actually from Sicily. Yes, please note in my articles I always refer to Southern Italy when referring to the Mediterranean Diet. Personally, I have not found eggplants (atleast in the US) to be bitter anymore like I remember many decades ago–could this be because I buy them fresher, or because I buy them smaller most times, I don’t know. In any case, I have found that the tedious and time consuming process of salting and draining is not needed…and I cook many Greek recipes with eggplant and quite often. I agree with Angela. Neither my wife nor I have found our locally purchased eggplant to be bitter. That said, the recipe sounds very good. I will try it and serve it my wife. Cheers! I made this and served it over orzo and crumbled feta cheese. It was delicious. One question: should you peel the eggplant? I didn’t, but was wondering if I should have. Nice! I do not peel them, but you can if you wish. Roasted eggplants paired with tomatoes is a classic Greek combination. 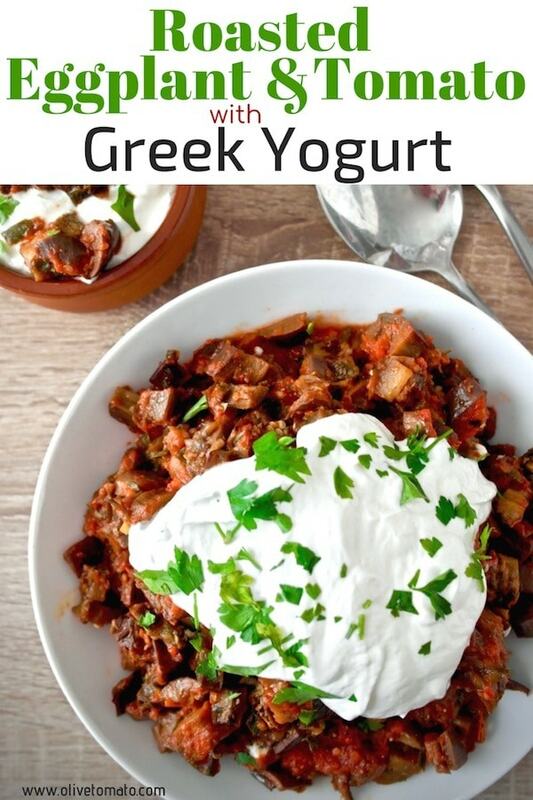 The addition of the Greek yogurt makes for a refreshing twist! Thanks for sharing Janet! Have never used a halogen oven, interesting appliance.